Los Angeles Dodgers left-handed pitcher Clayton Kershaw was named the 2014 National League Cy Young Award winner today, his second consecutive and third career selection, in voting conducted by the Baseball Writers Association of America. Kershaw received all 30 first-place votes, making him the 14th pitcher to win by a unanimous vote in the NL, joining Sandy Koufax (three times), Greg Maddux (two times), Randy Johnson, Bob Gibson, Steve Carlton, Rick Sutcliffe, Dwight Gooden, Orel Hershiser, Jake Peavy and Roy Halladay. There has been a unanimous winner in the American League nine times, with Roger Clemens, Pedro Martinez and Johan Santana each doing so twice; and Denny McLain, Ron Guidry and Justin Verlander once apiece. 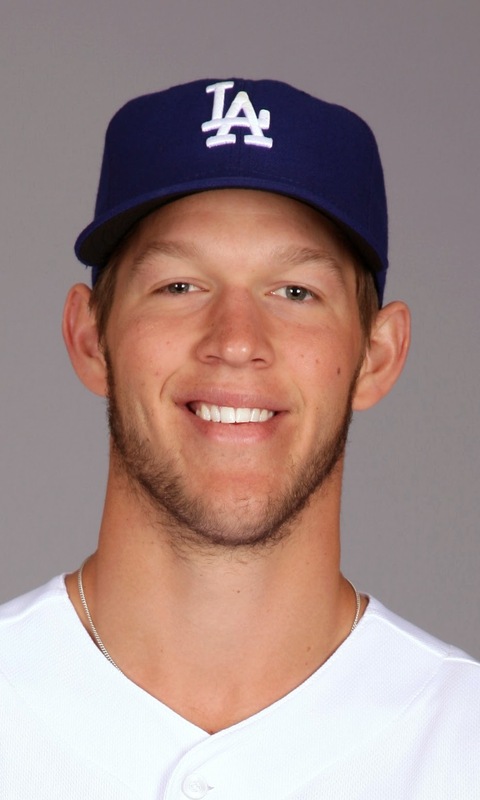 “It is humbling to receive the honor of the National League Cy Young Award again this year,” said Kershaw. “Thank you to the Baseball Writers' Association of America for this acknowledgement of the past season. The significance of this award is not lost on me. I consider it a privilege to even be considered in the same category as Johnny Cueto and Adam Wainwright, two remarkable pitchers and relentless competitors. It seems fitting to share this recognition with my teammates and coaches – I couldn't do my job without their own dedication to excellence in their roles. Today is a special day. To be associated with the men who have won this award before me is something I will not take for granted. But even more, it serves as a reminder that I'm blessed to play the game I love for an organization I greatly admire. Kershaw previously won the award in 2011 (27 first-place votes of 32 and 207 points) and 2013 (29 first-place votes of 30 and 207 points), and was the runner-up in 2012, receiving two first-place votes and 96 points, behind New York’s R.A. Dickey (209 points). “We’re so proud of Clayton as he adds to his historic record of accomplishments and look forward to him continuing it for many years to come,” said Dodger President and CEO Stan Kasten. A Dodger has now won the award a Major League-best 12 times, as Kershaw tied Sandy Koufax for the most Cy Young Awards in franchise history. Koufax, like Kershaw, won the award three times in a four-year span, taking home the honor in 1963, 1965 and 1966. Overall, Kershaw is just the ninth all-time pitcher to win three or more Cy Youngs since the award was instituted in 1956 and the first-ever to win the honor three times before the age of 27. He is also just the ninth pitcher to win the Cy Young Award in consecutive seasons, joining Koufax (1965-66), Denny McLain (1968-69), Jim Palmer (1975-76), Roger Clemens (1986-87, 1997-98), Greg Maddux (1992-95), Pedro Martinez (1999-2000), Randy Johnson (1999-2002) and Tim Lincecum (2008-09). Kershaw led the Majors with 21 wins (tied career high, also: 2011) and a 1.77 ERA in 27 starts, as he became the first-ever pitcher to win four consecutive MLB ERA titles. Kershaw’s .875 winning percentage (21-3) also topped the Majors and was the second-highest mark ever by a Dodger (min. 20 starts) behind only Preacher Roe’s .880 winning percentage (22-3) in 1951. The 26-year-old was selected to his fourth consecutive All-Star Game and additionally led the Majors with a 0.86 WHIP and six complete games, while ranking among the NL leaders in strikeouts (239, 3rd), opponents’ batting average (.196, 2nd), shutouts (2, T-3rd) and strikeout-to-walk ratio (7.71, 1st). The Dodgers posted a 23-4 record in Kershaw’s 27 starts, including a 14-1 mark in his 15 starts of 8.0 or more innings. Kershaw’s 1.77 ERA was the lowest mark by an MLB starter since Pedro Martinez posted a 1.74 ERA with Boston in 2000 and the lowest ERA for a National Leaguer since Greg Maddux’s 1.63 mark with Atlanta in 1995. He was the first Major Leaguer to post consecutive seasons with an ERA below 2.00 since Maddux in 1994-95 and joined Koufax (1963-64) as the only Dodgers since 1900 to accomplish the feat. Kershaw tossed his first-career no-hitter in the Dodgers’ 8-0 win on June 18 against the Rockies at Dodger Stadium, when he took a perfect game bid into the seventh inning and retired the first 18 hitters before allowing his first (and only) runner to reach base (via an error). He struck out a career-high 15 batters, the most ever for a Dodger in a no-hitter and, according to the Elias Sports Bureau, the most by any pitcher in Major League history that did not allow a runner to reach base via hit, walk or hit by pitch. Kershaw had several career-best streaks during the season, with an 11-game winning streak from June 2-Aug. 10 and a 41.0 consecutive scoreless-inning run from June 13-July 1, which tied for the fifth-longest in the expansion era. During the course of those streaks, Kershaw was selected at the National League’s Pitcher of the Month in June (6-0, 0.82 ERA) and July (4-0, 1.07). Kershaw, who opened the season with his fourth consecutive Opening Day start and a 3-1 victory over the Diamondbacks at the Sydney Cricket Ground in Australia, has gone 98-49 in 211 games (209 starts) in seven big league seasons. Since his MLB debut in 2008, he leads the Majors with a 2.48 ERA and a .209 opponents’ batting average, posting the lowest career ERA among pitchers with at least 1000.0 innings pitched and 100 starts since the start of the Live Ball Era in 1920. Kershaw was originally selected by the Dodgers in the first round (seventh overall) in the 2006 First-Year Player Draft out of Highland Park (Texas) High School. Kershaw was previously honored this year with his second-consecutive Roy Campanella Award as the “most inspirational Dodger,” the Players Choice Awards for Marvin Miller Man of the Year, MLB Player of the Year and Outstanding National League Pitcher, a selection as both Sporting News’ and Baseball America’s MLB Player of the Year and the Warren Spahn Award as the game’s top left-hander. Kershaw was also the Dodgers’ Roberto Clemente Award nominee once again in 2014 after winning the league-wide award in 2012, as he and his wife, Ellen, have continued to make an impact off the field through their charitable work in Los Angeles, their hometown of Dallas and abroad. The Kershaws founded their non-profit, Kershaw's Challenge, in 2011 with one goal: To challenge and encourage people to use whatever passion, purpose or talent that they have been given to make an impact on the lives of others in need. The non-profit foundation works to transform at-risk communities and the lives of children by partnering with organizations both locally and abroad to renew hope, one life at a time. This year, through Kershaw’s Challenge, Kershaw chose to support local charities in Los Angeles, partnering with The Dream Center and ShareFest, as well as charities in his hometown of Dallas (Mercy Street) and in Zambia (Cure International and Arise Africa). The Kershaws have hosted an annual charity fundraising event in Los Angeles for the past three years, with Clayton’s Texas BBQ & Hoedown in 2012 and Ping Pong 4 Purpose in 2013 and 2014, benefitting Kershaw’s Challenge and, earlier this month, Kershaw’s Challenge hosted an inaugural Benefit Concert in Dallas to raise funds and awareness for their Zambian and Dallas outreach projects. Kershaw also continues to raise money through his Strike Out to Serve initiative, where he makes a donation for each of his strikeouts and challenges others to do so as well. In addition to financial support, Kershaw has made numerous visits to each organization, where he’s assisted with community outreach programs, run baseball clinics/camps and donated/distributed essential daily supplies like food and clothing.